LEGO® Serious Play is a facilitated thinking, communication and problem solving technique for use with organisations teams and individuals. LEGO® Serious Play is a facilitated thinking, communication and problem solving technique for use with organisations teams and individuals, which draws on extensive research from the fields of business, organisation development, psychology and learning and is based on the concept of ’hand knowledge’. 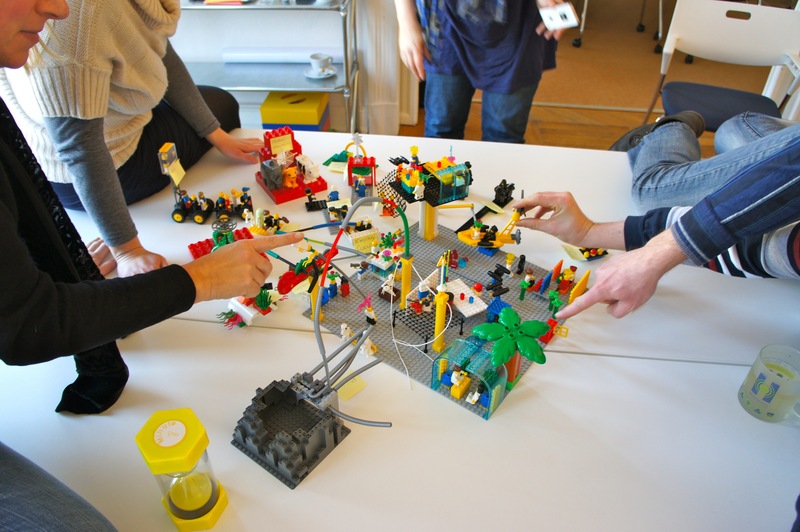 LEGO® Serious Play is a process for groups and teams of any size. Any LEGO® Serious Play process requires a trained and certified facilitator. The ideal group size for an in-depth workshop is 8-12, with one facilitator. The effective use of LEGO® Serious Play methodology rests on four core steps – Challenge, Build, Share and Reflect. The Bricks 4 Kidz Master Franchisee for Ireland, Karl Fitzpatrick is a certified LEGO® Serious Play Facilitator. For more information about LEGO® Serious Play, read more here or contact us today!